We at Pace Development Group are grieving the loss of Stephen Pace, our founder, father, friend, and leader. We are grateful for the prayers and support of our community as we celebrate his life. Reuben Stephen Pace of Mooresville, NC, passed away peacefully at Carolinas Medical Center Pineville on January 2, 2018, after his battle with cancer and heart disease. Stephen was born in Saluda, NC on August 7, 1944, the second son of Paul Brown Pace and Donna Ve Morgan Pace. He married his high school sweetheart and Charlotte native, Jacquelyn Stroupe Pace, in Saluda, NC, in August of 1966. Stephen was a CPA who evolved into one of the most successful real estate developers in the Charlotte, NC area. 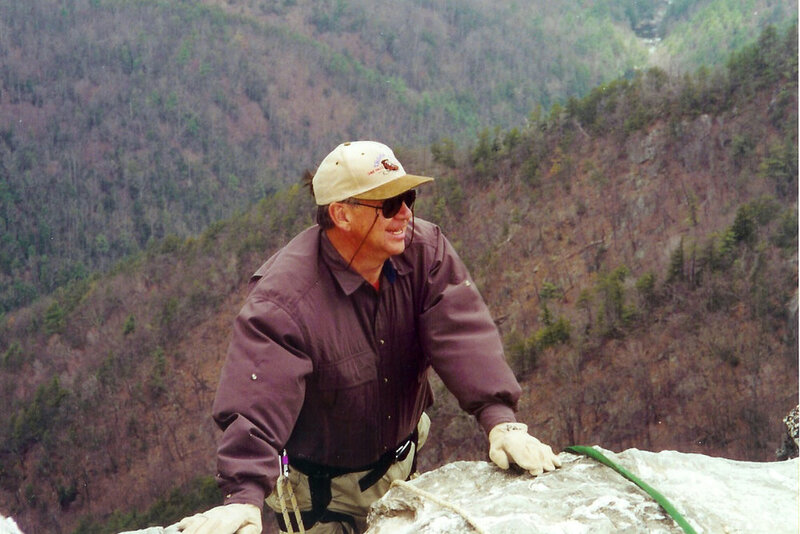 After graduating from UNC Chapel Hill in 1967, he joined the accounting firm of Haskins and Sells. On his road to becoming a CPA, his career was interrupted by the Vietnam War. In 1968 he enlisted in the Air National Guard and served as a weatherman for six years while continuing his work with Haskins and Sells. He became a Principal before leaving the firm to work with Blythe Construction Company in their development business. A few years later, in 1979, he opened his own residential development company and in 1994, he and his son, Brian, joined forces to incorporate Pace Development Group, Inc. Still active in their family business until his death, he breathed life into the residential development business in this area. Under his leadership, Pace Development has successfully developed well over 16,000 homes in neighborhoods across North and South Carolina. Although currently active members of Davidson United Methodist Church, Stephen and Jackie were also Charter Members of St. Stephen United Methodist Church in Charlotte. Shortly after joining this new little church in 1969, he with the help of two other members started a Boy Scout Troop, Troop 118. 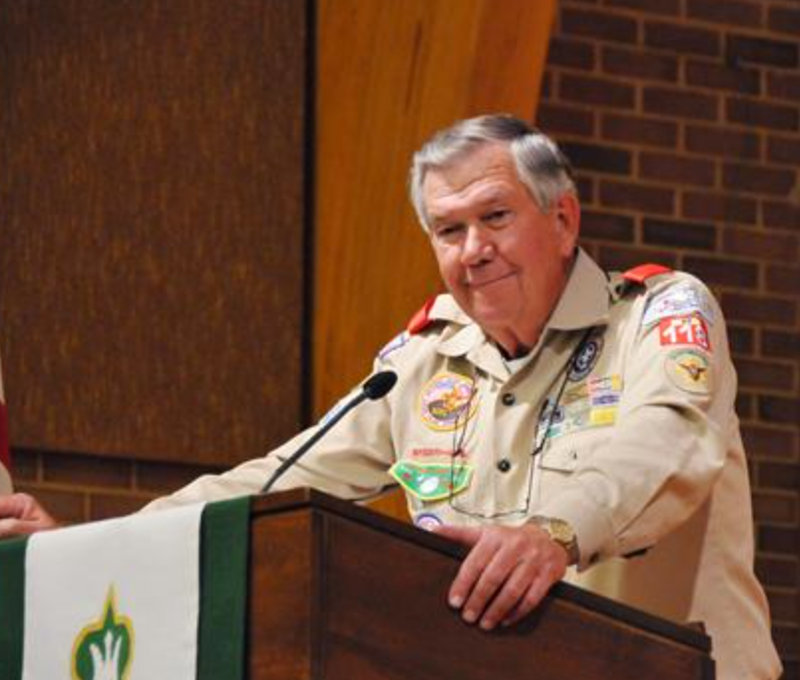 He remained Scout master of Boy Scout Troop 118 until his death and presented his last five Eagles at St. Stephen UMC about a month ago. Since 1970 he helped over 190 boys achieve the rank of Eagle Scout and helped mentor thousands of other Scouts while serving as their Scoutmaster. Many of his former scouts are now actively involved in the operations of Troop 118. Stephen’s passion in life was Scouting. One weekend a month, one night a week, for over 40 years, he was with his boys in Troop 118. He taught their merit badge classes and then, as the troop became so large, he taught the assistant scoutmasters how to teach these classes. When a boy enrolled in Troop 118, Stephen told his parents they were also enrolling and he expected 100% participation from them in all Scout events. He would not accept anything less than that same 100% effort from his boys. Sloppiness was not an option. When a boy submitted his project for review, if it was not perfect and if it was not the quality of an Eagle Scout, the Scout would continue to work on it until it met his standards. While they worked to achieve their Eagle Scout badges, they would float down rivers and rappel off mountains and backpack miles through the Appalachian Mountains. It was always his goal to lead the Troop over every mountain range and work harder and move faster than the younger leaders and boys! In addition to being awarded every possible local adult leadership award, Stephen was elected into the National BSA Hall of Fame. He led Troop 118 to work each year to collect the most tons of food during the Scouting for Food drive each year. Sometimes they collected 20 tons or more of food that would be distributed to local food pantries. The trucks would roll up to their collection site to see how much food his boys were collecting. But if you asked Stephen his greatest achievement, he would say it was his two children, Brian Stephen Pace and Kathryn Blair Pace Crisp, and his four grandchildren, Allyson Donna Ve Pace, Hadley Blair Pace, Jessica Louise Pace and Alexander Gregory Crisp. As a partner in Pace Development, Brian’s achievements in the real estate development/home building industry have equaled those of his dad. Serving as President of the Home Builder Association of Charlotte and also, in 2016, serving as the President of the North Carolina Home Builder Association, Brian has made his own mark in the industry. And his daughter Kathy is an amazing mom of a special needs child with a mitochondrial disease. Because of her little Alex, Stephen started the Alex Crisp Foundation to support other families who are faced with this horrible disease. Kathy also heads up the Sunday School program called Stepping Stones for other special needs children at their church, Christ the King, in Charlotte. Surviving Stephen are his devoted wife of 51 years, Jackie Stroupe Pace, his son Brian Pace and daughter in law Stacy, his daughter Kathy Crisp and son in law Matt, and four wonderful grandchildren, Allyson Donna Ve Pace, Hadley Blair Pace, Jessica Louise Pace and the one and only Alexander (His hero!) Gregory Crisp. He also leaves behind his mother Donna Ve Morgan Pace, a loving brother Allen and his wife Evelyn, his sister Melody Gibson and her husband Rodney and his brother Myron and his wife Debby, and numerous nieces and nephews. A celebration of the life of Stephen Pace will be held at St. Stephen United Methodist Church, the sponsoring church of Boy Scout Troop 118, 6800 Sardis Road in Charlotte on Sunday January 7th at 2 PM. Following the service, a reception will be held in the Fellowship Hall. The family would like to thank the wonderful nurses and doctors at Lake Norman Regional Hospital and CMC Pineville for helping him feel more comfortable through the past week. We are especially thankful for the loving care that he received with Nurse Pam in the ICU at Lake Norman Hospital and Dr. Papali in the ICU at CMC Pineville. In lieu of flowers, the family has requested that donations be made to the Alex Crisp Foundation or Troop 118 Foundation c/o St. Stephen UMC 6800 Sardis Road Charlotte NC 28270.